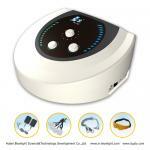 Why electro acupuncture products sales are growing? 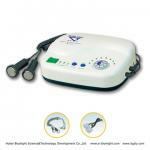 Your Position: > Knowledge >> Electro Acupuncture >>> Why electro acupuncture products sales are growing? Studies show that there is strong correlation between wealth and health care spending-as nations become wealthier, they chose to spend more of their wealth on health care. People can spend more because the health care community continues to show more every day about human health and health care conditions and, with that knowledge, is constantly expanding the inventory of health care products, techniques, and services that are available to address those conditions. Health care experts point to the development and diffusion of medical technology as primary factors in explaining the persistent difference between health spending and overall economic growth, with some arguing that new medical technology may account for about one-half or more of real long-term spending growth. 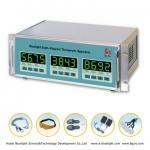 Other factors also influence electro acupuncture products spending growth. The population in China and other countries is aging, and because older people have more health problems and use more health care than younger people, population aging will have a great and persistent impact on cost growth in the years to come. Increases in disease prevalence, particularly chronic diseases such as diabetes, asthma, and heart disease, coupled with the growing ability of the health system to treat the chronically ill, contribute to the high and growing levels of health care product spending. Rising obesity levels are another factor which may be influencing cost growth, but other trends, such as lower levels of smoking and alcohol consumption, may have a moderating effect. Going to hospital to see doctors are very expensive in some countries. So taking care of yourself daily at home is very important and with less pain. 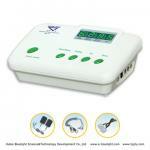 You may consider our electro acupuncture products, these are very useful to people's health, especially old people.